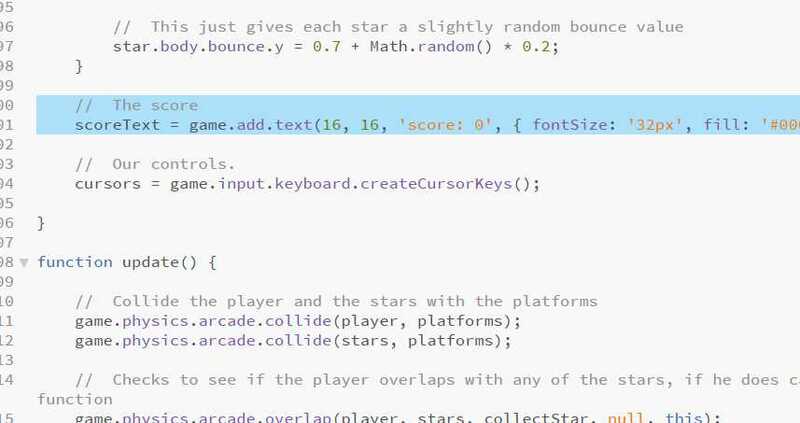 The code should look like this. Click the graphic to enlarge it. 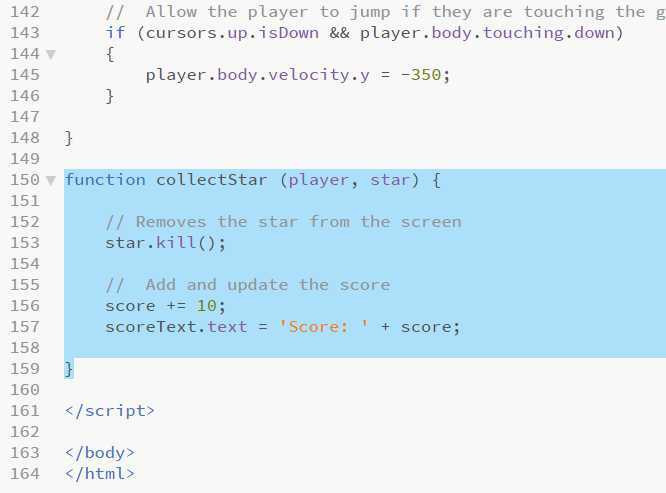 So 10 points are added for every star and the scoreText is updated to show this new total. 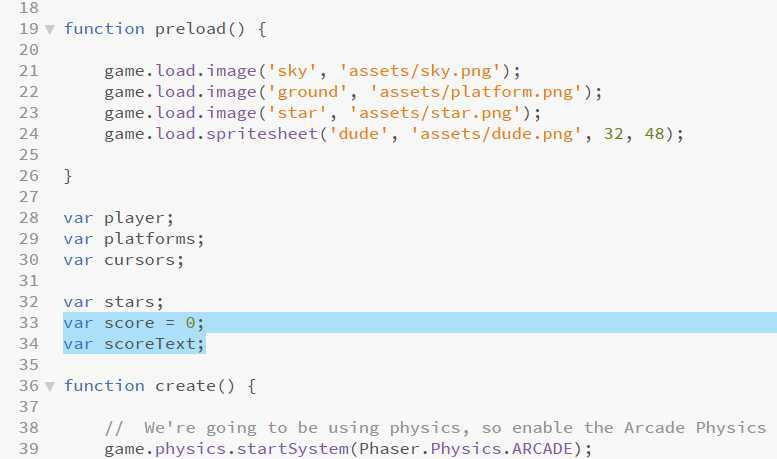 You have now learned how to create a sprite with physics properties, to control its motion and to make it interact with other objects in a small game world. There are lots more things you can do to enhance this, for example there is no sense of completion or jeopardy yet. Why not add some spikes you must avoid? You could create a new 'spikes' group and check for collision vs. the player, only instead of killing the spike sprite you kill the player instead. 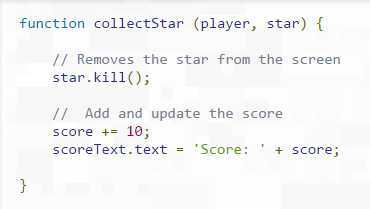 Or for a non-violent style game you could make it a speed-run and simply challenge them to collect the stars as quickly as possible. We've included a few extra graphics in the zip file to help inspire you. With the help of what you have learned in this tutorial and the 450+ examples available to you, you should now have a solid foundation for a future project. But as always if you have questions, need advice or want to share what you've been working on then feel free to ask for help in the Phaser forum.